One of my favourite spots in Auckland is Myers Park. If you walk through St Kevin's Arcade in Karangahape Road (site of St Kevens, the home of the Nathan family in the 19th century), down sets of wide stairs which still give me pause (I'm sure each step slopes downward a little), you will therefore start from the top and be able to see wonderful views of the paths, green and public art in the park. 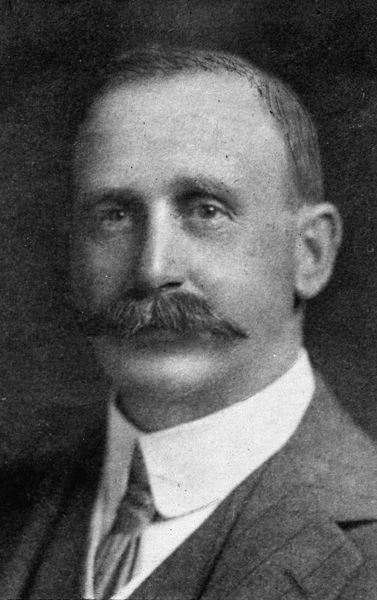 Much of the land was donated to Auckland City Council by Sir Arthur Mielziner Myers (1868-1926), with the rest bought up and taken over by the Council from private landowners. It was a slum area; from the 1880s, intensive and totally unplanned residential development in the valley of the Horotiu Stream (Ligar Creek) gave the city fathers much cause for concern. Particularly when bubonic plaque outbreaks seemed imminent. So, from 1914 the park was cleared, and a design by Thomas Pearson, Parks Superintendent for the City, was put into effect. The park opened 28 January 1915. The park which has been donated to the city by Mr A M Myers, MP, was auspiciously opened this afternoon in delightful weather and in the presence of a large gathering of citizens. Among those present were representatives of the State, the Legislature, the City Council, the Harbour Board, the Board of Agriculture, the Hospital and Charitable Aid Board, and various other local bodies. The proceedings were marked by sustained cordiality and occasional enthusiasm. The park comprises about 8½ acres behind the Town Hall, which was previously slum area. This has been transformed into a park and playground for children. Mr. Myers donated the £9000 necessary for the work and in addition is giving the funds for the erection of a free kindergarten and school for backward children to cost another £4000. The statue of Moses is the first thing you see in the park from the K'Road entrance. Milne & Choyce imported this copy of Michaelangelo's statue to New Zealand for general display. In 1971, the business donated it to Auckland City Council, on the occasion of the city's centenary. According to the K'Road Heritage site, this statue was said to have been carved from marble quarried from the same spot where the real statue's marble came from. The early 16th century original, from Wikipedia. As mentioned in the Evening Post report above, Sir Arthur Myers donated money to establish both a kindergarten here and a "school for backward children".According to the Council's interpretive signage, the building was designed by Benjamin Chilwell and Cyril Trevithick, influenced by both the English Arts and Crafts movement, and California bungalows. "On the ground floor was a large 'circle' room which opened to three classrooms and other facilities.Wide verandahs ran around two sides on both levels, while folding doors provided for open-air classrooms. The use of the relatively new structural steel beams gave the interior an uncluttered look, and corners were curved for hygenic reasons. There were also 65 small flower-beds -- one for each child -- as part of the original kindergarten philosophy, to encourage spiritual and social development." According to the signage: "Arther Myers intended it as a Christmas present to the children of Auckland, and his family also donated a large box of toys for the first intake. By 1923 the kindergarten had 40 pupils. Milk and biscuits were served every morning, and the children were required to do their own washing up." The school served as a training centre for kindergarten teachers until 1958, a school for deaf children, and offices for the Girl Guides Association. It operated as a kindergarten right through to 2000; today, it serves as the head office for the Auckland Kindergarten Association. With all those associations, is the building registered with NZ Historic Places Trust? Yes, as Category II. View of one of the sweeping stairway accesses out of the park. And now -- old loos. Back in August last year I photographed this one at Ponsonby's Western Park. ... and here's the rather beautiful, but rubbish-strewn locked interior. Yesterday, in Myers Park, I found another forgotten rest stop. It seems to be under seige from recent landscaping decisions in the park, seemingly set to be swamped and buried in time. The palms around it appear to be of fairly recent origin. Can't be sure if this has been subject to the anti-graffiti paintbrushes or not -- but it is a pity the lower brick has been painted over. On the grubby tiles inside the locked gate, a message to the world from someone armed with a permanent marker. It was certainly, in its heyday, a loo with a view. But Myers Park has a reputation today, nearly a hundred years from the slum clearances, of attracting society's detritus and debris at night. Perhaps this corner of the park attracted too much trouble. Perhaps that's why no one wants to mention the old loos in our green spaces, even though they were an integral part of layouts and architectural developments here. A lady, a bit worse the wear for life and all it does, came up to me and asked me what I was doing. She was friendly enough, as were her companions occupying a nearby seat under the trees. When I told her that I like to photograph old things, even forgotten loos, she smiled, and said,that was good -- because such things might go in time, and photos would be all we had left. Then she smiled, wished me a good day, and went on with her afternoon. The council hasn't swept the paths in front of the loo clear of those same leaves about to engulf it for some time, but cracks in walls have been seen to. In this one, Peter Chapple of Waiheke has left his mark on the park. The last thing of note in the park, is this -- a gift from the city of Guangzhou in China to Auckland, on the occasion of the tenth anniversary of the Sister City relationship between Guangzhou and Auckland in November 1999. It is called, officially on the plaque, the "Five Rams Sculpture." ... because she is definitely a nanny. The K'Road heritage web page quite wisely just sticks to calling this five goats, symbolic of an old story from China about goats bringing fertility to a bleak valley. Update, 24 January 2011: Guangzhou, amongst it's nicknames, is known as the Five Goats City, according to Wiki. Perhaps, if someone has a bit of spare cash in the budget, the plaque might be amended? In terms of that, though, I reckon Myers Park was over any bleak period long before the granite goats got here. I'm still opposed to anyone's ideas to move the Khartoum Place Suffrage Mural here, though. Myers Park is just nice enough now, thank you. 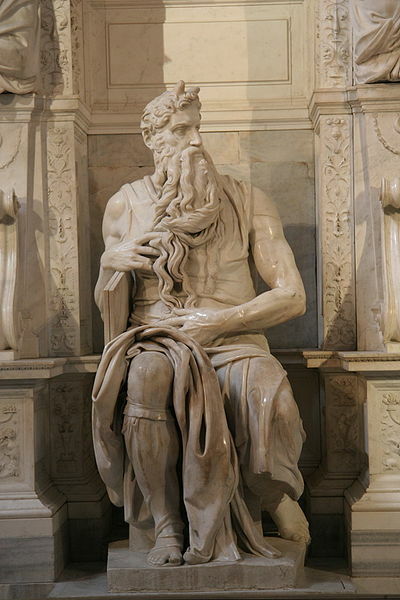 wow that Moses sculpture is fabulous! Must get partner to drag me here :-) i've not seen it. Cheers, Sandy. Yes -- it's a wonderful statue to see up close. Great post, Lisa, no stone unturned. The original name of the Nathan family home on the site of the arcade was St Kevens. The name was corrupted when St Kevins Arcade was so named. This is a case of me getting the 19th century tangled with the 20th. I'll correct the post now. Great blog, thanks so much for providing it. It's really interesting. I came here through a search looking for information on Cloverdale products from the KAIPARA CO-OP DAIRY. My blog is at http://longwhitekid.wordpress.com/ where I am focussed on advertising Kiwiana; particularly recreating long-lost product and packaging graphics of lesser known brands and logos.